Five Indian state-owned oil and gas companies signed a joint venture agreement for the execution of the Rs60bn ($871.87m) North-East Natural Gas Pipeline Grid project, Enbridge received a Certificate of Need from the Minnesota Public Utilities Commission (PUC) for a $6.93bn project to replace its Line 3 oil pipeline. Hydrocarbons-technology.com wraps up the key headlines from July 2018. Senior officials displaying the signed agreement document. 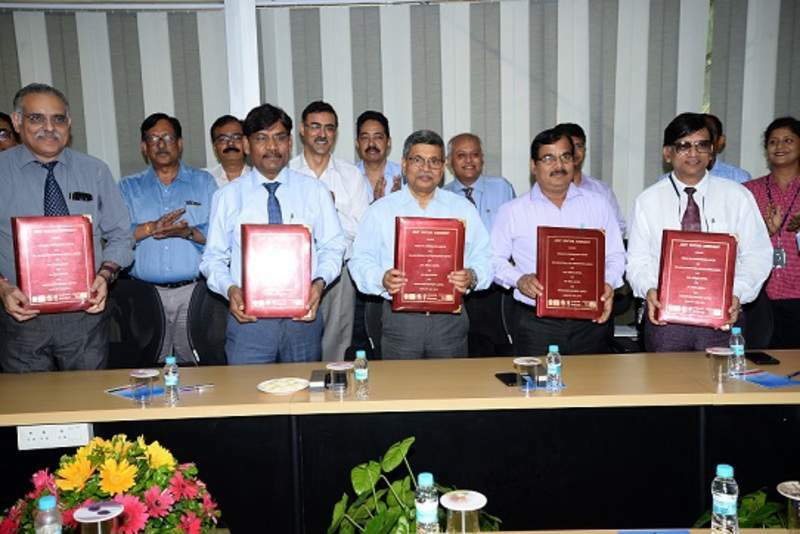 Credit: © Indian Oil Corporation Ltd.
Officials at the agreement signing ceremony. Credit: Snam SPA. 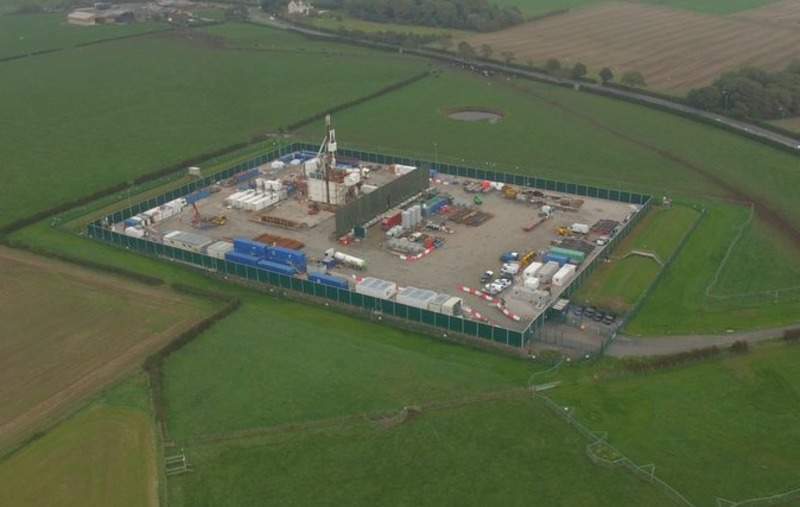 Cuadrilla's PNR site in Lancashire, UK. Credit: ©Cuadrilla. Fields are restored to agricultural use in Péfka, in the Greek municipality of Alexandroupolis, where the Trans-Adriatic Pipeline has already been constructed. Credit: European Bank for Reconstruction and Development. Five Indian state-owned oil and gas companies signed a joint venture (JV) agreement for the execution of the Rs60bn ($871.87m) North-East Natural Gas Pipeline Grid project in the northeastern part of the country. The JV participants include Indian Oil (IOCL), ONGC, GAIL, Oil India and Numaligarh Refinery (NRL), with each company contributing equally. The 1,500km grid project will connect the capital cities of all the eight northeastern states, namely Arunachal Pradesh, Assam, Manipur, Meghalaya, Mizoram, Nagaland, Sikkim and Tripura. Canadian energy transportation company Enbridge received a Certificate of Need from the Minnesota Public Utilities Commission (PUC) for a $6.93bn project to replace its Line 3 oil pipeline. The regulator approved Enbridge’s preferred route for the Line 3 replacement development with minor modifications and certain conditions. Enbridge’s latest project is set to require an investment of C$5.3bn ($4.03bn) in Canada and $2.9bn in the US. BP’s subsidiary BP American Production Company signed agreements to acquire BHP’s entire interests in the Eagle Ford, Haynesville, and Permian onshore oil and gas assets in the US, in a $10.5bn deal. According to the deal, the BP arm will buy all of the issued share capital of BHP’s subsidiary Petrohawk Energy that holds the onshore assets. Through the acquisition, BP hopes to upgrade and reposition its US onshore oil and gas business, with access to production and resources in the liquids-rich regions in Texas and Louisiana. China National Petroleum (CNPC) unveiled plans to invest more than CNY150bn ($22bn) by 2020 in oil and gas operations in the western region of Xinjiang. The investment will enable the company to increase production in the region to more than 50 million tonnes (Mt) of oil equivalent by 2020 in an effort to replace output from ageing fields in northeast China, Reuters reported. The proposed spending is equivalent to the total costs incurred by CNPC’s division PetroChina for oil and gas exploration and production last year. A European consortium headed by Snam reached a €535m deal to acquire a 66% interest in Greek natural gas transmission system operator DESFA. The agreements for the acquisition were signed with the Hellenic Republic Asset Development Fund (HRADF) and Greek oil refining firm Hellenic Petroleum. Other participants in the consortium include Spain’s Enagas and Belgium’s Fluxys. Affiliates of independent infrastructure fund manager Global Infrastructure Partners (GIP) closed the acquisition of all of Devon Energy’s interests in EnLink Midstream Manager (Manager), EnLink Midstream Partners (ENLK) and EnLink Midstream (ENLC) for $3.125bn. The completion comes after Devon Energy reached an agreement for the sale last month as part of portfolio simplification initiatives and its 2020 strategic plan. As a result of the transaction, GIP now holds a 100% equity interest in Manager, around 64% equity interest in ENLC, and about 23% of limited partner equity interest in ENLK. Cuadrilla Resources completed drilling a second horizontal shale gas well at its exploration licence in Lancashire, UK, and is awaiting governmental approval to begin hydraulic fracturing. The company drilled the horizontal well through the Upper Bowland shale at a depth of 2,100m below the surface. In April, the firm completed the first well through the Lower Bowland shale rock at a depth of 2,300m. US President Donald Trump softened his stand on the Nord Stream 2 natural gas pipeline project after a one-on-one meeting with his Russian counterpart Vladimir Putin. Nord Stream 2 will transport up to 55 billion cubic metres of natural gas from Russia to Europe across the Baltic Sea. Expected to deliver reliable and sustainable new gas supplies to the EU, the pipeline project will run from the Ust-Luga area of Leningrad, Russia, to Greifswald, Germany, covering a distance of more than 1,200km. 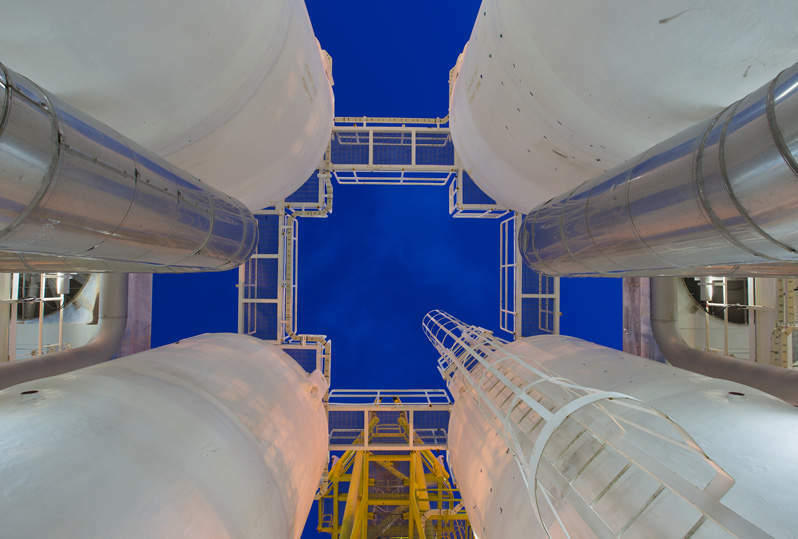 The Trans Adriatic Pipeline (TAP) project partners secured approval for a loan of up to €500m from The European Bank for Reconstruction and Development (EBRD) for the construction of the pipeline, which is part of the $40bn Southern Gas Corridor (SGC). Originating at the Greek/Turkish border, the 878km pipeline will run through Albania and end in southern Italy to transport gas from central Asia to western Europe. With an initial annual capacity of ten billion cubic metres, the pipeline will transport gas from the Caspian region to Europe. Kinder Morgan Canada is planning to restart construction on the C$7.9bn ($5.8bn) Trans Mountain pipeline expansion project next month. The development comes after the company halted investment in the project in April after facing opposition from environmentalists and jurisdictional issues. Thereafter, the Canadian Government reached an agreement to acquire the project from Kinder Morgan in a C$4.5bn ($3.4bn) deal.